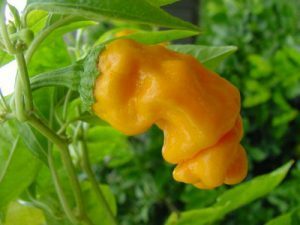 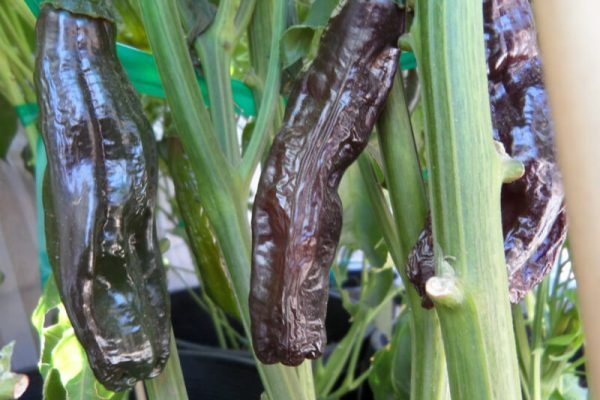 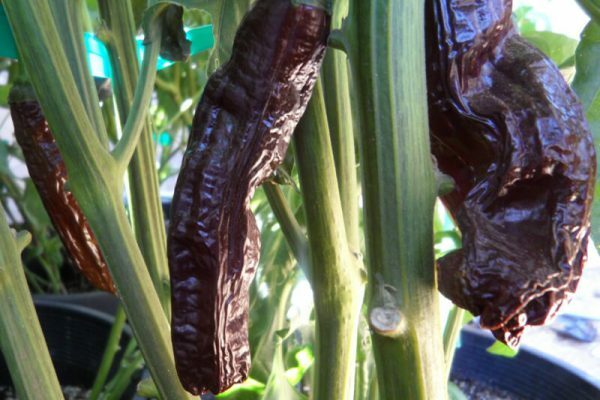 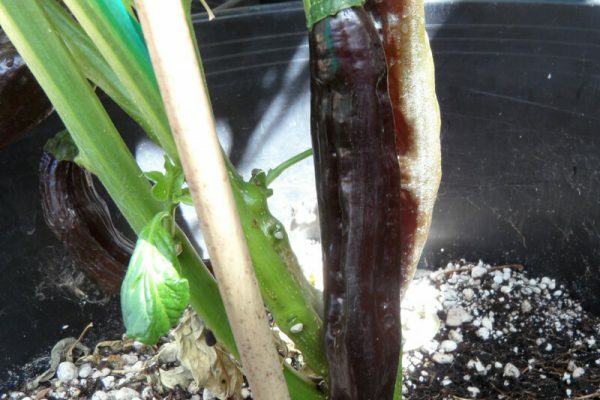 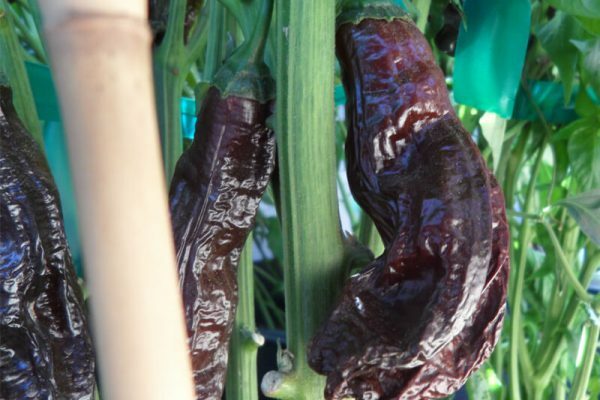 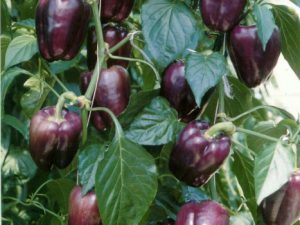 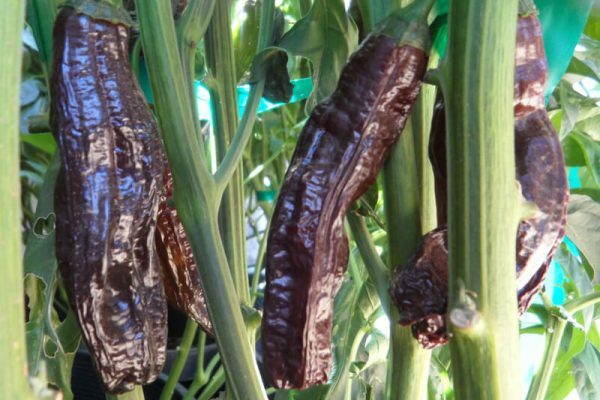 The Aji Panca also known as the Aji Brown grows very large up to 6 inches in length and over and inch wide. 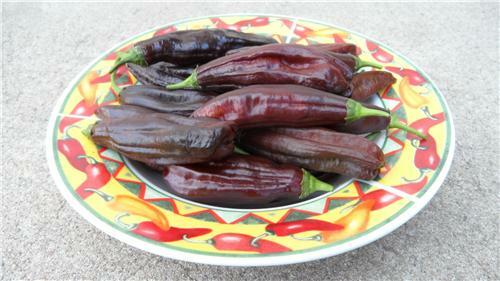 They ripe to a blackish brown and are often found dried in the Peruvian market. 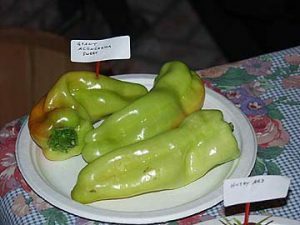 They are known for their rich smoky flavor. 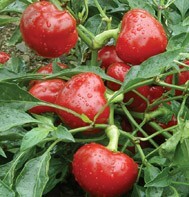 Great for adding to BBQ sauces, BBQ rubs, soups, stews or grilled and stuffed. 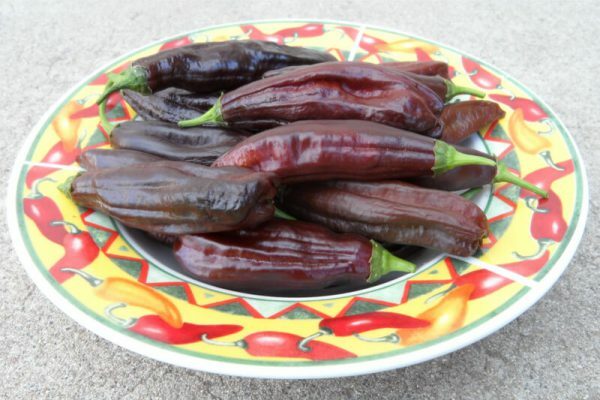 Ideal chile for making a Mexican Mole. 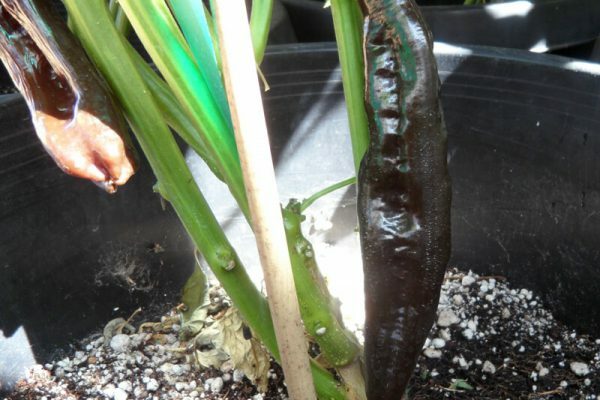 If you grow in a container use a large one at least 15 gallon and up because these plants will get over 6 feet tall.